The Old Testament. Although the Israelites did not have a term that precisely fits our present-day idea of murder, they differentiated among killing, manslaughter, and murder in their legal terminology. The Term for Murder in the Sixth Commandment. The sixth commandment (“you shall not murder” Exod 20:13 ; Deut 5:17 ) has been misunderstood because of an ambiguity in terminology. The Hebrew word that was used in this case for “kill” (or murder) was the somewhat rare term rasah [j;x’r] (derivatives can be found with the meaning of shatter [ Psalm 42:11 ] or slaughter [ Eze 21:27 ]). Although its exact meaning has defied explanation, in other contexts it could refer to killing that was inherently evil ( Judges 20:4 ; Job 24:14 ; Psalm 94:6 ; Isa 1:21 ; Hosea 6:9 ). 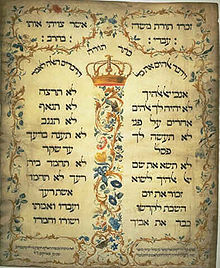 It was also listed in abuses of the covenant community ( Jer 7:9 ; Hosea 4:2 ) and in lists of curses ( Deut 27:24-25 ). Jezebel committed murder (rasah [j;x’r]) against the prophets ( 1 Kings 18:13 ), as did Ahab against Naboth ( 1 Kings 21:19 ) and Simeon and Levi against the Shechemites ( Gen 34:26 ). However, the same term could also have applied to unintentional manslaughter ( Deut 4:41 ; 19:3-6 ; Joshua 20:3 ), blood vengeance ( Numbers 35:27 Numbers 35:30 ), the legal execution of a criminal ( Num 35:30 ), attempted assassination ( 2 Kings 6:32 ), and on one occasion it was used for the figurative killing of humans by animals ( Prov 22:13 ). Discernment in Homicide Cases. The death penalty was posed for one who killed with premeditation, but not for accidental manslaughter ( Exod 21:12-13 ; Lev 24:17 ; Deut 27:24 ). In fact, premeditated murder did not require a trial ( Exod 21:14 ; Num 35:19 ; Deut 19:11-13 ). Thus, the Old Testament saw a fundamental difference between the two types of homicide ( Deut 19:1-13 ; Joshua 20:1-7 ), providing two levels of meaning for rasah [j;x’r]. One who killed out of enmity was not allowed sanctuary in the city of refuge. The victim’s clan could demand that the killer be delivered up to the blood avenger ( 2 Sam 14:7-11 ), who presented the evidence against the individual. Guilt was determined either by the intention of the killer or by the type of object used in the apparent manslaughter ( Num 35:16-21 ; some iron, stone, or wooden objects were considered likely to cause death ). However, there had to be at least two witnesses to convict a murderer ( Num 35:30 ; Deut 17:6 ; 19:15 ; 1 Sam 21:4 ). The blood avenger, who was responsible for the execution, was not allowed to pity the murderer or else the land would be defiled ( Num 35:34 ; David put himself in the hands of God because of this 2 Sam 12:13 ). No ransom was allowed since this would have signified consent with the crime, undermining the value of human life and breaking the covenant with God. There was also no substitutionary punishment ( Deut 24:16 ; although Saul’s sons were demanded as ransom after his own death because he had murdered the Gibeonites 2 Sam 21:1-9 ). The Meaning of Rasah. Rasah probably had a specialized meaning, possibly in connection with the killing (whether premeditated or accidental) of anyone in the covenant community, especially that which brought illegal violence. The sixth commandment therefore protected the individual Israelite within the community from any danger. Only God had the right to terminate life; murder was an abrogation of his power that ignored humanity’s created nature and value in the sight of God. God had to be propitiated since the covenant relationship had been broken ( Num 35:33 ). Murder deprived God of his property (the blood of the victim Leviticus 17:11 Leviticus 17:14 ), which apparently passed to the control of the murderer ( 2 Sam 4:11 ). Thus, the murderer’s life was ransomed. Underlying this was the dictum in Genesis 9:6 concerning the sanctity of life. The murderer had to receive a penalty consistent with this law (lex talionis) to purge the evil from their midst ( Gen 4:10-11 ; Deut 21:8 ) and to deter others ( Deut 13:11 ; 17:13 ; 19:20 ; 21:21 ). Rasah did not cover the subject of killing in war or capital punishment, which were done only at the command of God; thus, they were not in the same category as murder. Other Terms for Murder. The most common Hebrew word for killing (harag [g;r’h]) could also be used for murder. Pharaoh viewed Moses’ killing of an Egyptian as a crime ( Exod 2:14-15 ). Joab’s spilling of the blood of Abner was condemned ( 2 Sam 3:30 ; 1 Kings 2:5 ). David was responsible for the death of Uriah, although he did not physically kill him ( 2 Sam 12:9 ). Judicial murder was also condemned ( Exod 23:7 ; Psalm 10:8 ; 94:6 ). Harag [g;r’h] was the term used for Cain’s crime against Abel ( Gen 4:8 ), and for the murderers of Ishbosheth ( 2 Sam 4:11-12 ). Striking a parent (possibly with the intent to murder Exod 21:15 ), inducing death by miscarriage ( Exod 21:22-23 ), and sacrificing children to a foreign god ( Lev 20:2-3 ) were apparently considered murder and were capital crimes. If a man beat a slave to death, he was probably punished (or better avenged) by being put to death by the covenant community ( Exod 21:20 ). There was no legislation outlawing suicide, as it must have been very rare. Those who committed suicide in Scripture had been placed in a situation of certain death ( Judges 9:54 ; 16:30 ; 1 Sam 31:4 ; 2 Sam 17:23 ; 1 Kings 16:18 ). Unsolved Murder. A strange ceremony was performed when the murderer (or manslayer) was not known ( Deut 21:1-9 ). Since there were religious implications (murder was a crime against God), the matter could not be left alone; the guilt had to be atoned for. The elders of the closest city were obliged to take responsibility for the act and instigated a procedure to remove the guilt. They took a heifer and broke its neck. They then washed their hands over the dead creature, symbolizing their accepting the burden for it, but not the guilt. They then declared that they were not eyewitnesses, and prayed for the innocence of the entire community. There was no compensation for the family of the victim. The New Testament. Although the New Testament writers lived in a different legal environment, they were consistent in their view of murder with their Old Testament counterparts. Jesus interpreted the sixth commandment differently than the contemporary Jewish scholars (who had a narrowly literal view), and agreed with the spirit of the Old Testament law on homicide ( Matt 5:21-22 ). He pointed out a spiritual cause for murder; its root was internal anger. One was not righteous by simply refraining from homicide; an angry person was also subject to judgment. He thus contended that hating one’s brother was in the sphere of the command against murder, as it was part of a process leading to a potential murderous act (cf. Lev 19:17-18 ). Jesus’ words were in effect a full summary of the murder law (cf. Exod 21:12 ; Deut 17:8 ). The intention as well as the act came under God’s judgment. He condemned the evil disposition of the heart that lay at the root of the transgression. The beginning of the outward act of murder was sinful anger or hatred, an attitude that was a sin against the sixth commandment. James added that the cause of murder was a consequence of frustrated desire ( 4:2 ; cf. 1 Kings 21 ). Humans were given the right to exact the death penalty for murder ( John 19:10-11 ; Rom 13:1-4 ). The murderer’s children were not guilty unless they had willingly participated in the crime ( Matt 23:34-36 ; 27:25 ). A whole nation could be guilty of murder ( Matt 27:25 ; Acts 2:23 Acts 2:36 ; 3:15 ; 5:28 ; 7:52 ). Satan was considered the original murderer ( John 8:44 ). Murderers had no place in God’s kingdom ( Gal 5:20 ; Rev 21:8 ). The death of Christ was the supreme example of murder in the Scriptures ( Matt 27:20 ; Mark 13:12 ; 14:55 ). His murder was predicted in the Passion narratives ( Mark 8:31 ; 9:31 ; 10:34 ). The Jews sought to murder him ( John 7:1 John 7:19 ; 11:53 ). His violent death was recounted by Peter ( Acts 5:30 ) and Paul ( Acts 26:21 ; Eph 2:16 Christ was murdered in hostility ). Christ was symbolized as the slaughtered Lamb, signifying his humble obedience and innocence ( Rev 5:6-12 ; 13:8 ). Slain martyrs were likewise labeled ( Rev 6:9 ). Bibliography. H. Boecker, Law and the Administration of Justice in the Old Testament; E. Nielsen, The Ten Commandments in New Perspective; A Phillips, Ancient Israel’s Criminal Law: A New Approach to the Decalogue; idem, Journal of Jewish Studies28 (1977): 105-26; J. Stamm and M. Andrew, The Ten Commandments in Recent Research; R. Westbrook, Studies in Biblical and Cuneiform Law.